← What are evidence-based programs? Rather than the hierarchy of evidence, Epstein  proposes a Wheel of evidence (see Figure 1) in which “all forms of research and information-gathering and interpretations would be critically assessed but equally valued” (p. 225). Epstein, I. (2011). 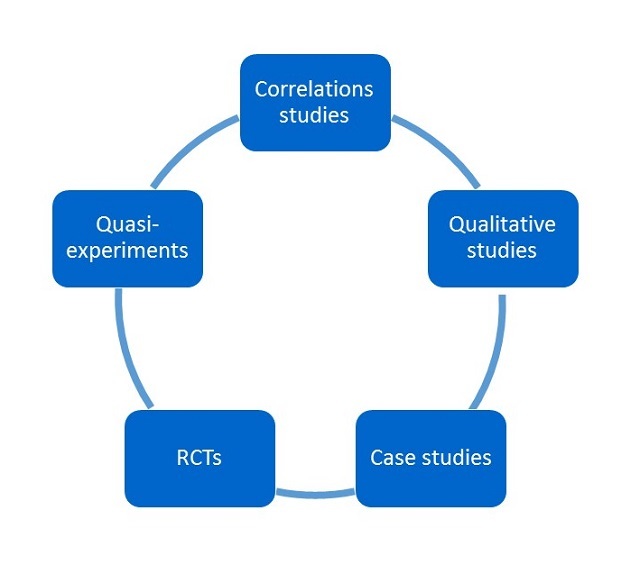 Reconciling Evidence-based Practice, Evidence-informed Practice, and Practice-based Research: The Role of Clinical Data-Mining. Social Work, 56(3), 284-288. This entry was posted in Families & parenting, Working with communities and tagged Community work, Evidence-based practice, Evidence-informed practice, Expert panel, Family work, For students, Working with communities, Working with families. Bookmark the permalink. 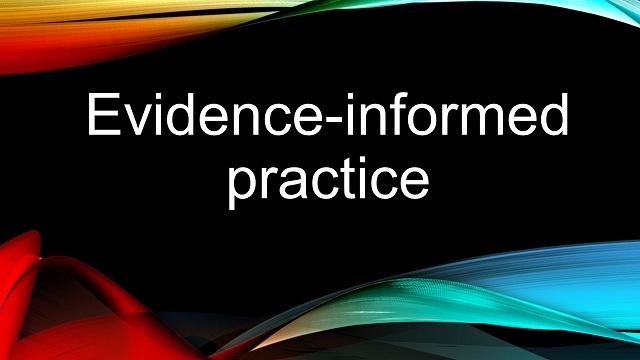 2 Responses to What is evidence-informed practice? I appreciate your discerning comments in the evidence informed practice space. Perhaps it is the practice processes that drive the outcomes? The practice principles, qualities of relationship, collaborative intentions that are more important than particular techniques or modalities? How can we measure the attainment of those things? Thanks for that. I totally agree that practice makes a huge (the biggest?) difference and we need to get better at identifying what makes successful practitioners. If we have a great program run by unskilled practitioners, it’s unlikely to work. But if we have a poor program run with really skillful practitioners, they are likely to adapt it so that it works. That’s why I think it is so important that we don’t just look at evidence-based programs but also evidence-based practice. It’s probably harder to research practice than programs, and a wider range of methodologies are needed, but I think it is important.